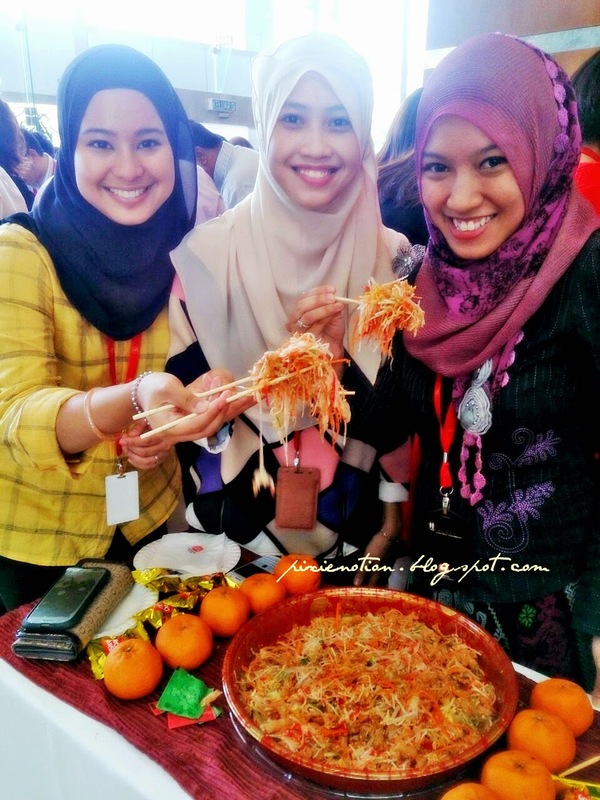 Miss E Pixie+Notion: Toast of Prosperity - Yee Sang in KKM!! 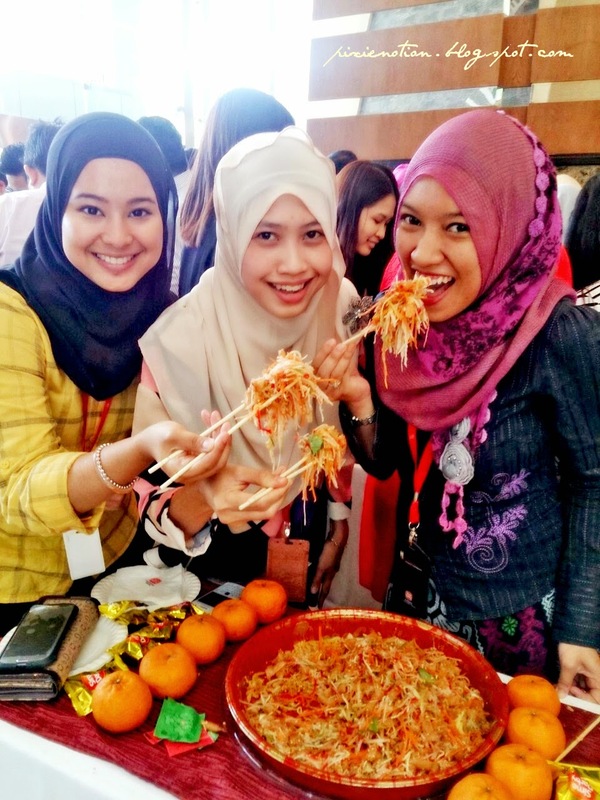 Our pics kat atas tu setelah ber 'yee sang' so makanya dah bercampur2 segala isi perut dlm portion tu. 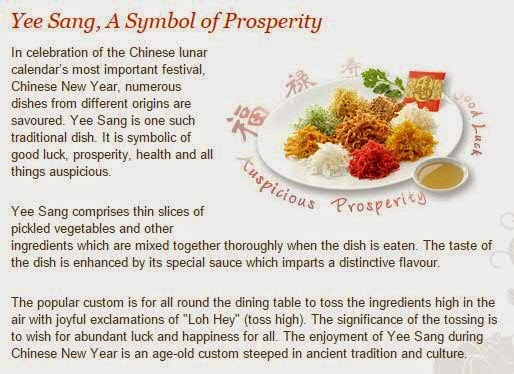 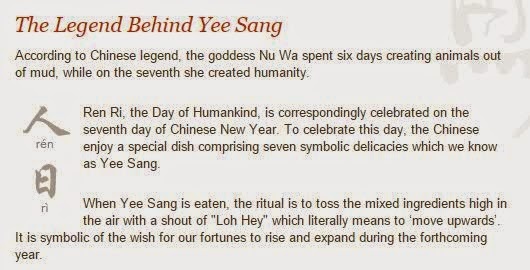 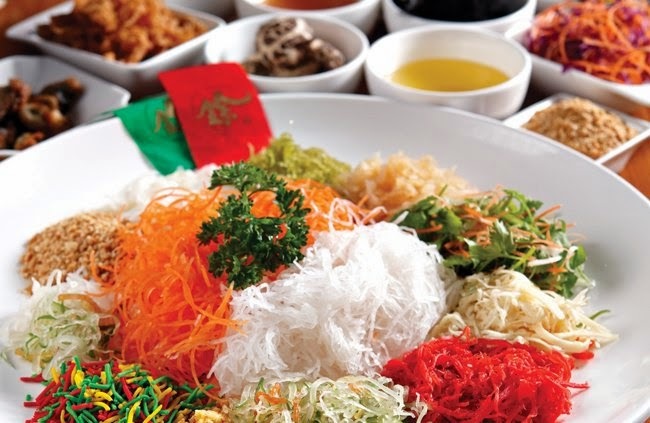 For those yang tak tau what is Yee Sang exactly, It looks like this...tu kat bwh tu..hihi..and of course some history of it for a better knowledge.